For casino game players who like the thrill of real casinos – spinning roulette wheels, numerous blackjack tables, and a range of slot machines amid other players – 2D and 3D games that have been produced over the recent years lack this realism. This is where online virtual casino games come in. Also referred to as computer simulated reality, virtual reality tech provides the player with a replication of an actual casino. The technological advancements of our time have lent a helping hand to the iGaming arena to revamp the usual online gaming experience to provide gamblers with the casino glamor and feel from the comfort of their home. In this article, we will review how VR technology works, as well as some of the recommended casinos and games in the iGambling industry that have succeeded in delivering this lifelike experience. The VR realm is accessed through the use of Virtual Reality helmets, glasses, or headsets. These devices come featuring various screens and sound systems. Thanks to the headset’s light resistant and sound resistant qualities, neither of these elements can interfere with the VR experience once the headset is worn. 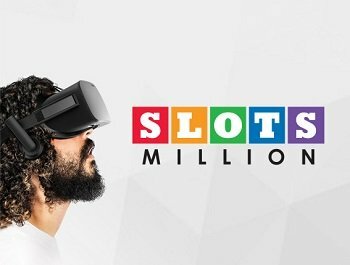 Slotsmillion VR. Slotsmillion was the first house to release a computer simulated casino successfully. With the use of Oculus Rift helmets, players have been able to enjoy the casino in a simulation that is very similar to the real deal. Once players wear their head gear, they can even look down the lobby window from the eightieth floor, where the casino is located. It provides over forty of their popular 3D slots that can even be enjoyed for real money in the UK and all over the world. Interaction in the game play can be with hands or a controller. Microgaming VR. 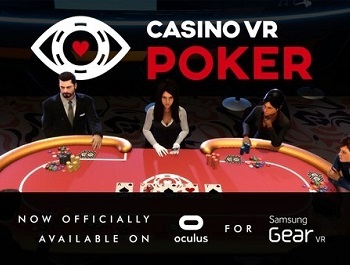 Being the first company to take casino games to an online platform over twenty years ago and among the most technologically advanced online casinos, it comes as no surprise that this software developer has dived into the world of VR gaming. Their most outstanding VR creation is with their free roulette game. The game works with a controller and headset from Oculus Rift. Even though the game is still in development, more specifically the prototype stage, it has done a great job in simulating roulette tables with a robot for a croupier. Lucky VR. Based in Canada, Lucky online gaming software developers specialize in the production of computer simulated games. The agency transforms the ordinary games such as roulette, poker, slots, etc. into immersive multimedia apps. The games that this software developer creates are compatible Samsung and Oculus Rift helmets. The games can be enjoyed either for fun or for real money. NetEnt VR. Being another company that has been very influential in the iGaming arena for more than twenty years, this Sweden based software developer has released a prototype of their popular game “Jack and the Beanstalk” dubbed “Jack’s 3D World”. The company’s development is compatible with Google Cardboard and offers superior sound technology. Miss Midas. A production of NextGen Gaming, this slot game features five reels and twenty five pay lines, with Miss Midas residing on the third reel. This slot game contains numerous magical features that help players walk away with more than they started with. The most notable bonus feature on the game is the Superbet feature that helps players purchase extra symbols. Its introduction to the computer simulated realm has added to the reasons as to why to give this slot a spin. Jack and the Beanstalk. This game is a production of the software provider NetEnt, and has been used as a base for the production of the computer simulated version, Jack’s World. This game features superior graphics and audio technology. The VR game can be enjoyed using a smartphone head mount. Only a prototype of the game has been released, and a trailer of the same can be found on NetEnt’s Youtube channel. Online roulette. Microgaming has released it online roulette game in immersive multimedia. Once a player wears and activates their headset, they are transported to a virtual space with a roulette table. The dealer in the game is a friendly robot that calls bets and spins the wheel just like an ordinary dealer would in a land based casino. The players can create an avatar hand and use it to interact with their surroundings. However, only the European version of the game is available to players, but this is expected to change in the future. The tremendous feature that the computer simulated games have to offer reach further than the ordinary 3D software and hardware. Virtual reality casino games have outdone themselves when it comes to plunging the player right into the gaming environment and offering what can be found when a player walks into an actual casino. The VR games have a no download demo version that enables players to have a taste of how computer simulated reality feels like. So venture into the VR gaming platform, and get to experience the true realism of casinos.